Awkward considering AMD has shown their 16-core CPU achieve scores of over 3000. 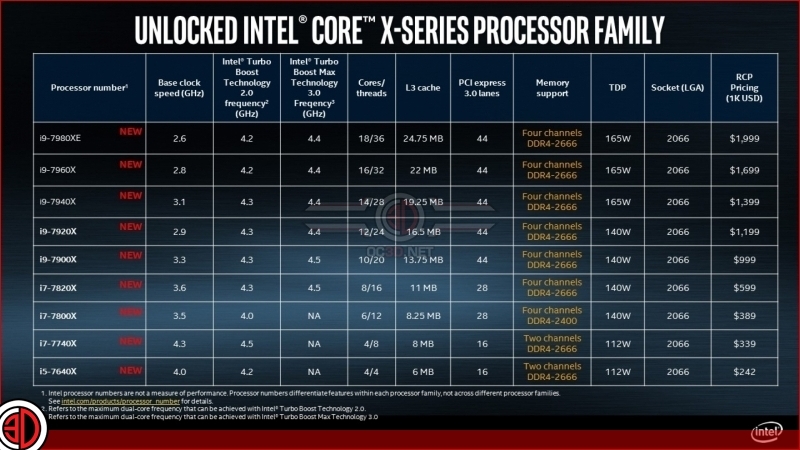 Read more on Intel's i9 7960X. Not a bad score, but a bad price for the score. TRs in Alienwares have been hitting over 3000 on the 16 core and it costs $700 less. I really don't think I could bring myself to pay $700 for 8%. And that's without any clocking to the TR, because Alienware are known for having crappy overclocking. I did OK with my 5820k, but it all had to be done through Windows and the clock needed to be loaded every time you booted the rig. PITA. waiting for the thermals of the 16 core threadripper. yes you may can overclock the intels better... but i don´t want such ridicolous temps as we have seen with the 10 core intels. Article says 10 core 1950x.